The Return on Disability Group levers its content to foster new portrayals of the PWD market in the public eye. The RoD Group voluntarily discloses current and past commercial relationships with organizations that are in the universe of our research. 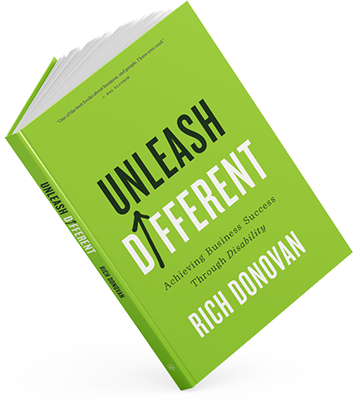 Rich Donovan is a globally recognized subject matter expert on the convergence of disability and corporate profitability. He has spent more than 10 years focused on defining and unlocking the economic value of the disability market. Rich created the Return on Disability concept and model.